THURSDAY, Aug. 23, 2018 -- Mean systolic blood pressure is increased with increasing sodium intake only in communities in the highest tertile of sodium intake, according to a study published online Aug. 9 in The Lancet. Andrew Mente, Ph.D., from McMaster University in Hamilton, Canada, and colleagues performed an analysis of the Prospective Urban Rural Epidemiology study in 18 countries to examine the correlations between community-level mean sodium and potassium intake, cardiovascular disease, and mortality. BP was assessed for 95,767 participants in 369 communities, and cardiovascular outcomes were assessed among 82,544 participants in 255 communities. The researchers found that there was an increase in mean systolic BP of 2.86 mmHg per 1 g increase in mean sodium intake; only communities in the highest tertile of sodium intake had positive correlations. Significant deviations from linearity were seen for the correlation between mean sodium intake and major cardiovascular events; this resulted from a significant inverse association in the lowest tertile of sodium intake (change, −1 events per 1,000 years; 95 percent confidence interval, −2 to −0.1), no association in the middle tertile (change, 0.24 events per 1,000 years; 95 percent confidence interval, −2.12 to 2.61), and a positive but non-significant association in the highest tertile (change, 0.37 events per 1,000 years; 95 percent confidence interval, −0.03 to 0.78). Compared with other countries, in China there was a strong association with stroke (mean sodium intake, 5.58 mg/day; 0.42 events per 1,000 years). 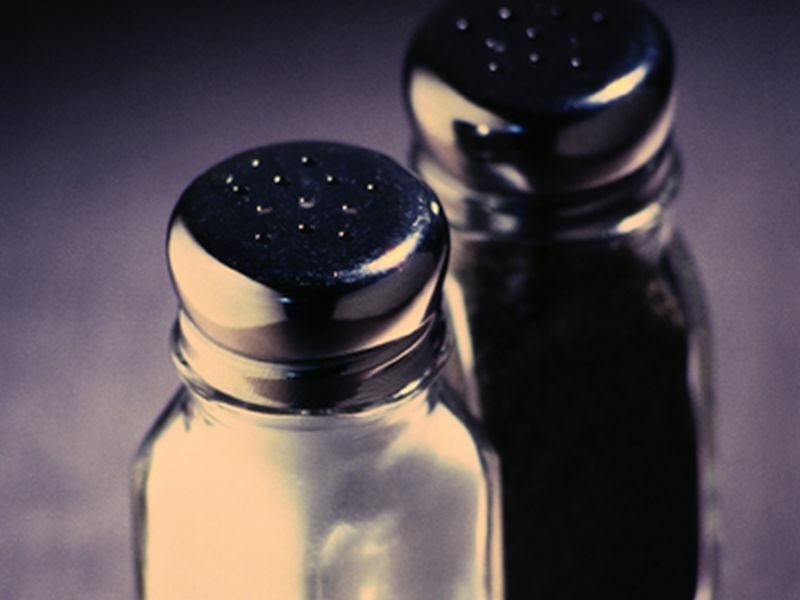 "Sodium intake was associated with cardiovascular disease and strokes only in communities where mean intake was greater than 5 g/day," the authors write. The study was funded in part by pharmaceutical companies.